Beautiful large round landscape jasper. 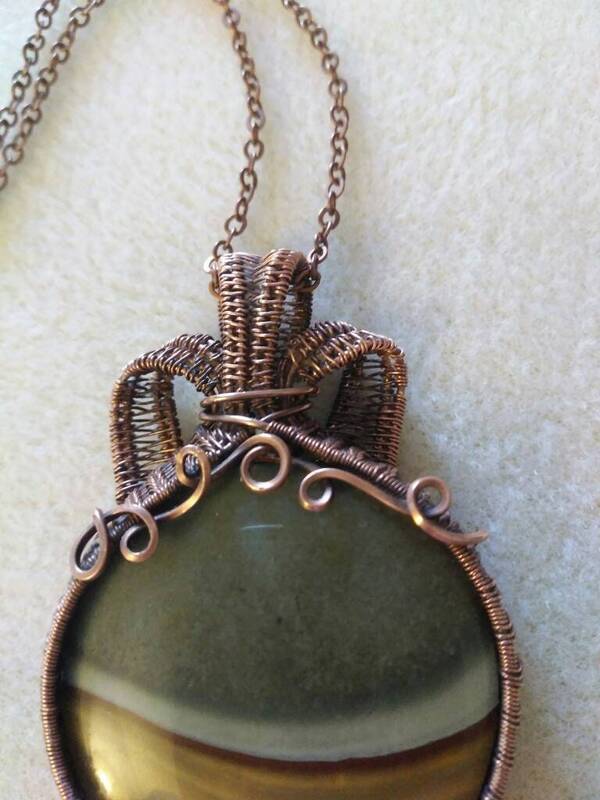 Wrapped in oxidized (antiqued ) copper. 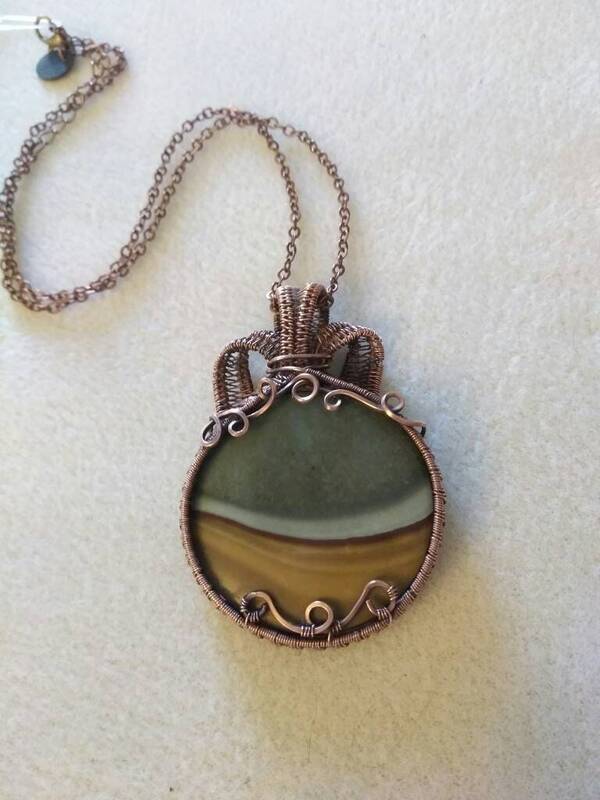 The total size of this pendant is 65mm x 43mm (2 1/8" x 1 3/4") and includes a 42mm (1 3/4") landscape jasper cabochon. 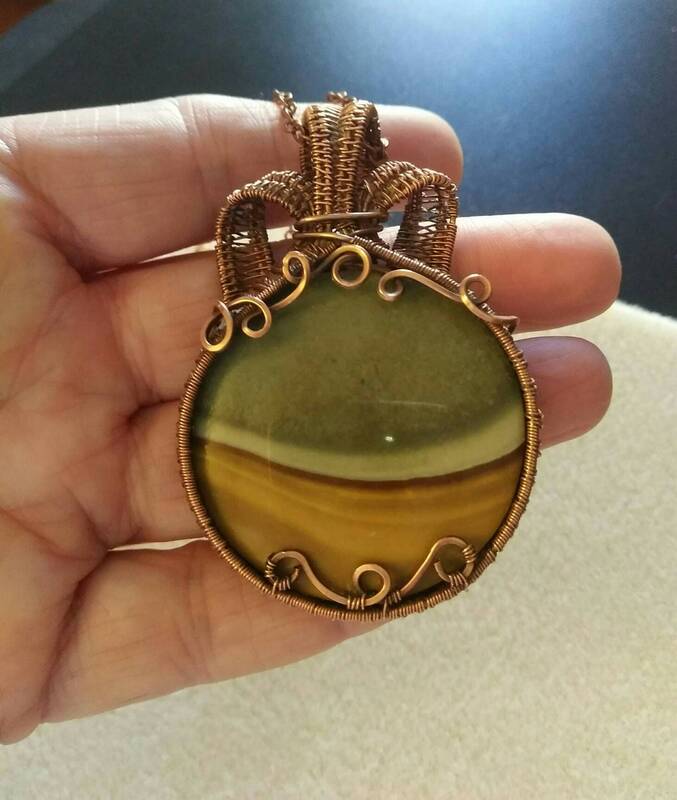 The wire used for wrapping is copper that I oxidized and polished. 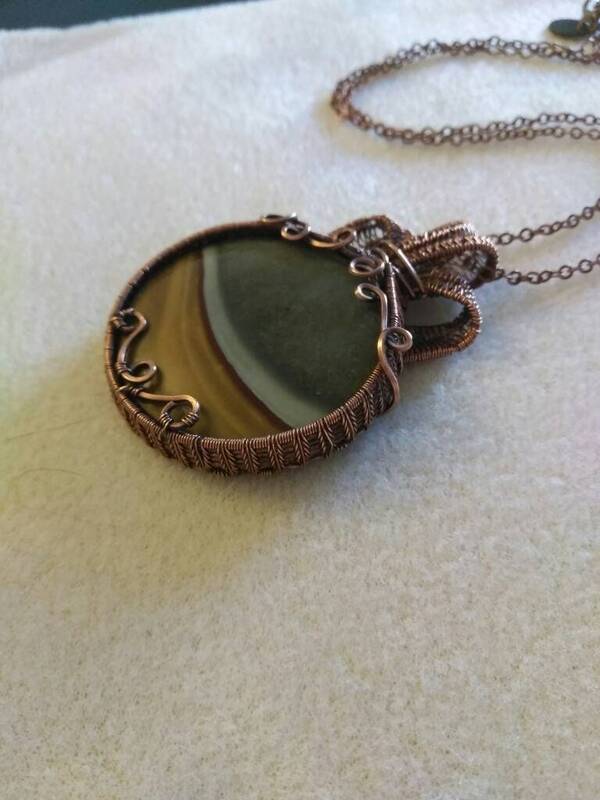 This pendant comes with an 18" (46cm) antique copper chain, along with a 2" (5cm) extension making the necklace adjustable from 18" (46cm) to 20" (51cm).